This post is a very simple example of how to create strong named assemblies and use in a solution. Each project uses the same strong named key. One key is uesd for the whole solution. Note: Add As Link and not Add!, Add copies the key. 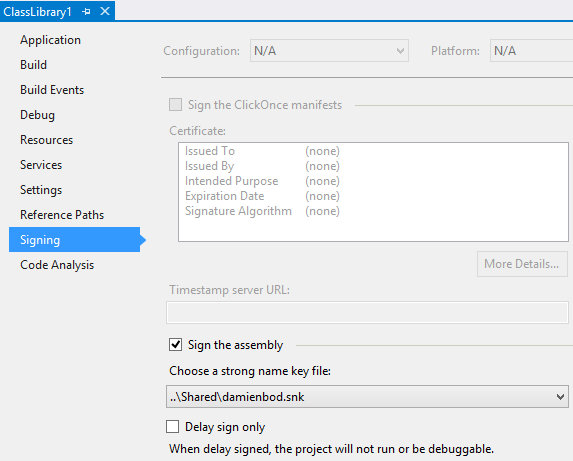 Open the properties of each project, and in the signing tab, sign the project with your key. Now all projects are strong named. The same key is used for all projects. The assemblies can be use in the GAC or are harder to tamper with.